LG considering removing the 'Optimus' brand from its high-end models? 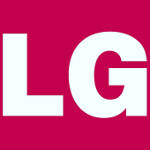 A published report on Monday says that Korean OEM LG is considering removing the Optimus name from its high-end models. But that doesn't mean that the name will be gone from LG phones forever. According to the report, the Optimus title will be moved down to the low to mid-range models and a new brand will encompass LG's high-end smartphones. No question that this will be confusing at first, but the introduction of a new brand could generate some excitement for LG. While the LG Optimus G and the LG Optimus G Pro did well for the manufacturer, the most talked about LG phone in years did not have the Optimus brand, nor did it have the LG name. The Google Nexus 4, built by LG, received high praise after launching last year. In fact, it topped our list of 2012's best smartphones. At one point, LG probably could have sold every unit it could build. Last month, word leaked out from Korea that LG was going to use a common design language for all of its hardware, and not just for mobile devices. Considering the number of different products that LG makes, that sounds intriguing, but at the same time a bit daunting. Does that mean all of LG's products like washer/dryers and refrigerators will have a common design to an LG smartphone? Does this have anything to do with the rumored new high-end brand coming? Hopefully, LG will respond to this new report and we will have a better idea of what is being planned. At least they're not milking the name like the Galaxy brand... As someone said before, All samsung phones look the same and it lowers the value of their high end models to the middle/lower phones. unmadden's comment is a good example of full retard personified. LG Sentinel actually sounds really good. I don't care what they call it, they just need to own their flagships. Here on Verizon LG hasn't been able to get a single Optimus-branded phone out. Still a slave to the carrier and its exclusive brands. I hope don't go for fruits. They inspired by Samsung so LG Galactica sounds good! Do they want to go for the "One" name. It seems to be getting popular among manufacturers nowadays... HTC One, Xbox One and another ONE I do not remember. lol. Nice one. I meant Alcatel One though. they'll call it LG OMEGA..